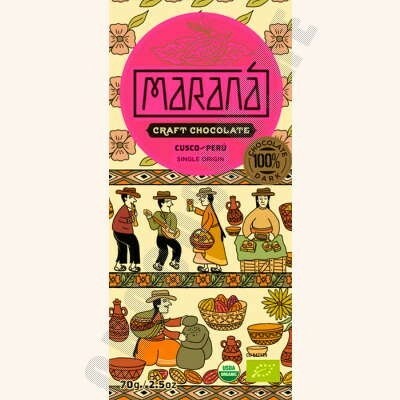 Single-origin Peruvian 100% cacao dark chocolate bar. The Cusco collection is made from the finest "Chuncho" variety cacao beans grown in the fertile valleys of Quillabamba. With this chocolate you will experience an intense, nutty flavor that will transport you to the magical land of the Incas. Net wt: 70g / 2.5oz.